Inspirations for French Bathroom Design – Design Your Lifestyle. In our last post, we showed you a glimpse inside one of Peter Salerno’s latest kitchen designs – a beautiful Princeton kitchen featuring custom stonework, lush ambient light and a spacious open floor plan. Today, we’ll show you how we tied those French-inspired design elements into that home’s master bath. As you can see, we tied in a few core elements of the home’s kitchen design into the bathroom. First, we utilized the light painted cabinetry that Peter was inspired by on his recent trip to the Picardie region of France. We also chose the tile to reflect the kitchen’s custom stonework (a staple of design in Vence). You will also notice the spacious floor plan. Alternate view of our French-inspired bathroom design. A look to the other region of the bathroom shows a beautiful porcelain tub set between two large windows – once again, to accentuate the copious amount of natural light this home’s location provides. A walk-in shower sits inside the far wall, and fresh linens await the user at every turn. Lastly, the brass fixtures and mounts reflect French design from the Oise region. 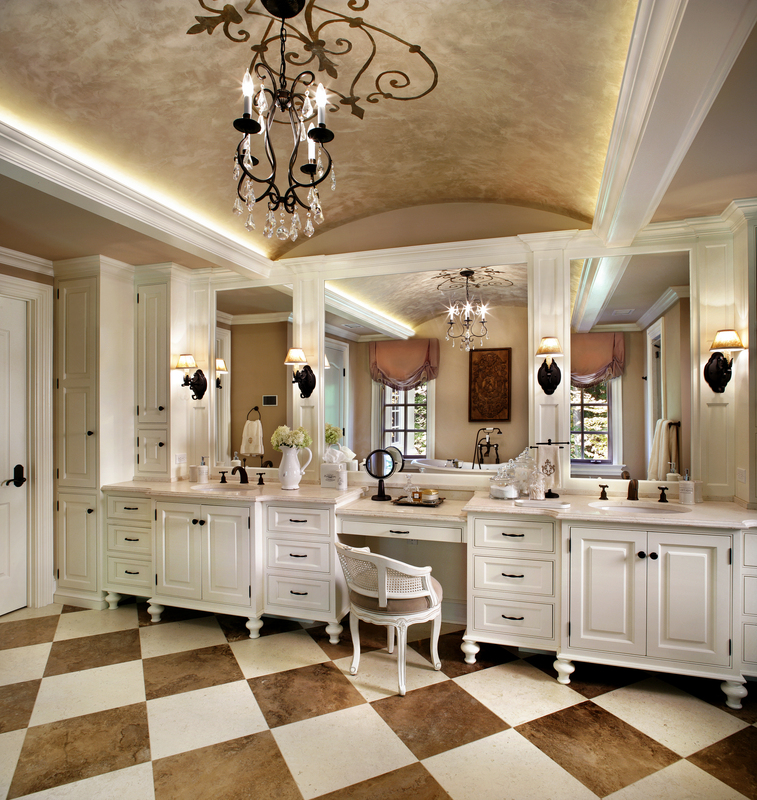 Interested in consulting with Peter Salerno and his team for your custom bathroom of your very own? Please feel free to visit our website and contact us today! Pingback: Peter Salerno Wins Best Bath, Signature Kitchens & Baths Magazine | Peter Salerno Inc.